Microsoft Access is a great place to store and organize data into tables, and creating queries to generate specific reports. 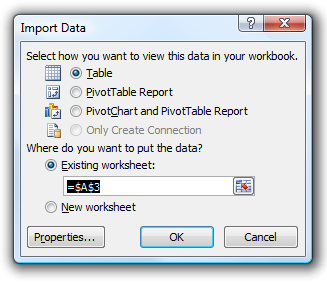 Excel simplifies the process of presenting the data into single worksheets. 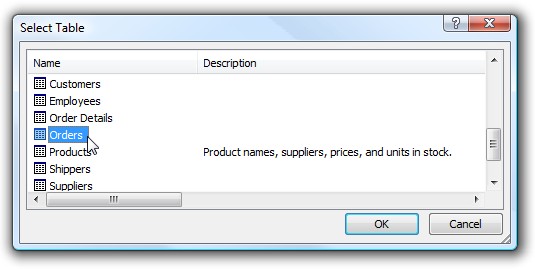 Here we will show the steps to import an Access table into Excel. 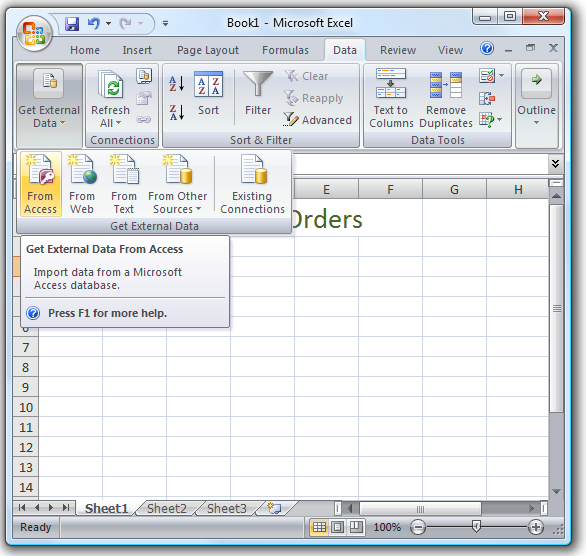 Open up a new or existing Excel worksheet that you want to add the data to and click Data Get External Data From Access. Next, browse to the Access database you want to get table information from and double click. Now you will be able to scroll to the table within the database you want to add to Excel and double click. The Import Data dialog box will open up for you to make various selections, in this example we are importing the table data so we can leave the default settings and select the cell to start the data import. Click Ok. 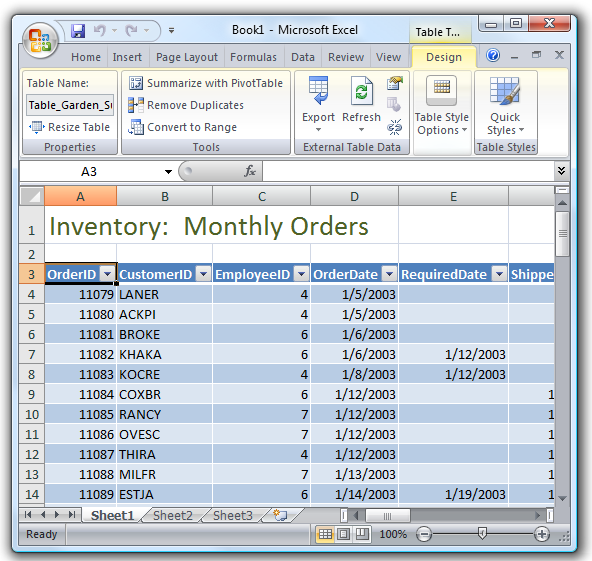 The data from the table will now be shown on the Excel worksheet in the same order as the table.